RC Radio: Yesod, the Mushroom Forest. The Mushroom Forest is inside the Tree of Life sphere Yesod. It shares much of the qualities of Yesod in general as discussed in the main article. However, here, the qualities of Yesod are much more amplified. The Mushroom Forest is a dreamy, mystical place where reality, fantasy, and dreams meet. The classic story of “Alice in Wonderland” gets its source material from this place. What you see, interact and meet with here is a product of your psychic imagination and your root beliefs on a core level. You could say that the child part of you lives here, where anything is possible and life is one fun adventure after another. Physical time and space are very pliable in this place. Time has little meaning. The focus here is the intensity of the experience on an emotional level. The more powerful the emotional connection to you, the more vivid your experiences will be. In many ways experiences here can be equated to a dream, where the normal rules of reality no longer apply. 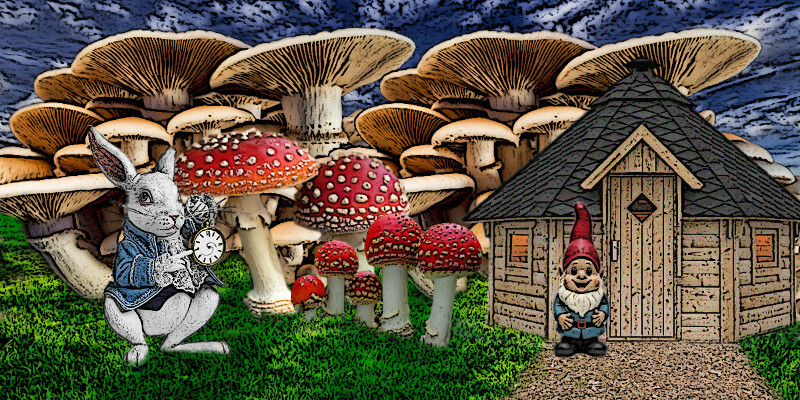 The energy in the Mushroom Forest has an hallucinogenic effect on you. Do not try to put reason or logic on what you experience, it will not stick. Instead go with the flow of the adventure and see where it takes you. It usually will take you to some emotional state of being. Your experiences here will be generally positive and fun. The aim of Yesod is to refresh consciousness and strip away atrophy, and the stale part of yourself that winds up holding you back from creating your perfect reality. While you can learn things about yourself here, it is more a place of renewal and the rich experience that your consciousness craves. The spirit guides here can take many forms. They may even take on the role of your favorite character from some cherished story. Reality in this place is skewed. For example seeing mushrooms the size of a building is quite normal. The reasoning is that your physical self is quite small compared to the creative capabilities of your consciousness. In physical reality your experiences are measured and focused and because these experiences must be persistent, they can lack depth. 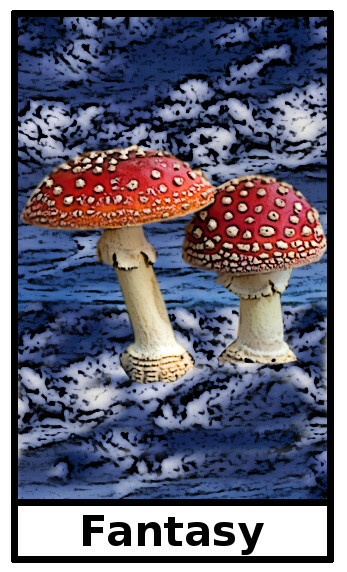 In the Mushroom Forest your experiences are no longer limited and can be shaped in any way you want. The governor on your consciousness is removed while you are here. Visit the Mushroom Forest when you need a rest from physical reality, or you want to nourish the childlike creative side of yourself. The rabbit here symbolizes what happens when time becomes more important than experience. The rabbit from the “Alice in Wonderland” story is so preoccupied with time and getting to where he is going that he barely notices his magnanimous surroundings. Gift: Broken Watch, a reminder that not everything should be measured by time.